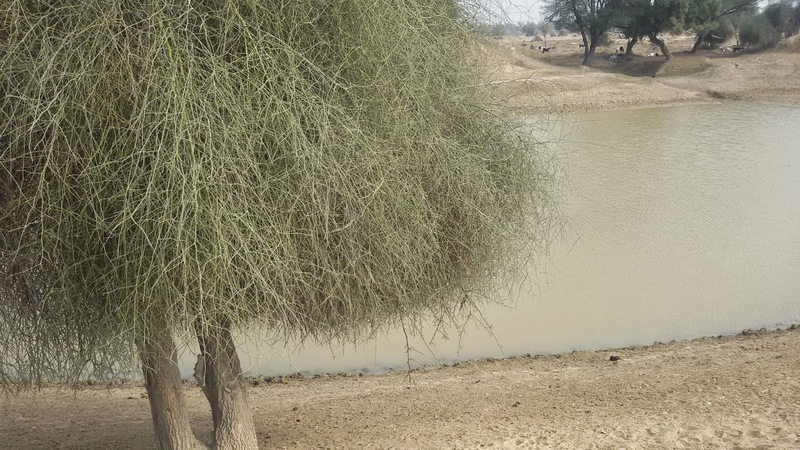 We ventured out 30km off the metalled road near Lal Suhanra to bastis (settlements) nestled in the Rohi desert of Bahawalpur that are virtually inaccessible by road. 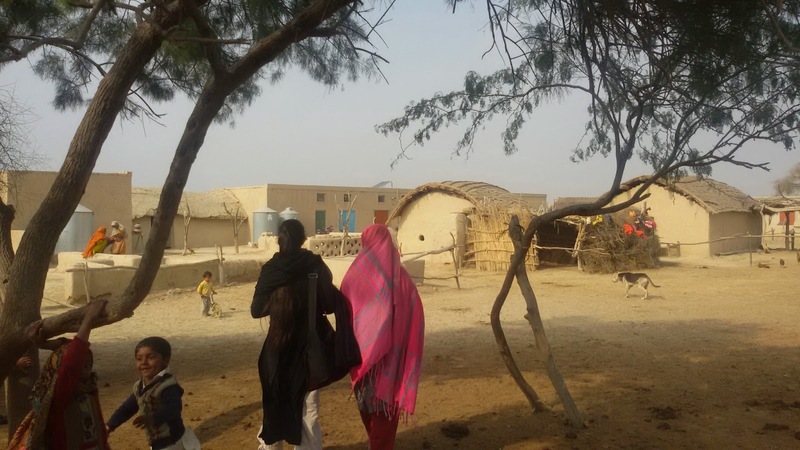 In addition to a host of vulnerabilities confronted by the settlements of indigenous communities in terms of education and women and children’s health, they now face the threat of eviction from their ancestral land. They fear the loss of homes, livelihoods and access to sources of water as a result of the government’s plans for establishing a hunting game reserve in the region. The Boohar kinship group, whose main occupation is animal rearing, has lived in Rohi as far as they can remember. The families maintain herds of cattle which graze in open rangeland. They sell a head of cattle at Eid-ul-Azha and use this income to purchase their annual stock of wheat and other essential food items - the uncultivated expanses of the Rohi desert do not sustain a crop economy. Besides this market activity, self-subsistence characterizes their way of life. The settlements are called tobas, which is actually a word for rain water collection ponds and the main source of water. Toba water is not clean by modern standards but it is a far better alternative compared to groundwater there, which is brackish and known to cause illnesses to people and livestock. The Boohars, whose pastoral life depends on their access to rangeland, acknowledge that the desert or their homestead land is not, technically, their private property. While the land legally belongs to the government, Boohars’ sense of entitlement and rights is rooted in history and tradition. The Boohars’ ‘rights’ of use in the desert predate the establishment of private property rights in land in the 19th century. The colonial government created private property in agricultural land in favour of landholders to protect self-serving hierarchies, marginalizing all other rural classes in the process. Uncultivated land adjacent to settled villages was made part of the village estate – and rights to this land were understood to be in proportion with the ownership rights over the cultivated land of the village. Other land which was deemed to be “uncultivated waste” was declared to be the property of the government. The process through which land which has historically ensured the Boohars’ access to livelihoods, homes and water was made the sole property of the government was initiated by the colonial government – arbitrarily and without consultation. Today decades after independence the Boohars feel that they are being forced to leave land which is their lifeline also, apparently, without agreement, negotiation or compensation. This is despite the fact that the government recognizes their presence here. The Boohars showed us receipts for taxes paid on livestock. Moreover, the settlements were enumerated in the 1998 census and in the Benazir Income Support Poverty Scorecard survey of 2009. According to local people, under orders of the government, a metal boundary wall chalking plans for the game reserve (presumably for wealthy hunters from the Gulf) has been erected, severely constraining the communities’ access to clean water by bringing the number of their accessible tobas down. When a toba dries up families are forced to rely on hand pumped ground water and this has started causing illnesses and health problems for the residents and their animals. “The ground water is not good here. 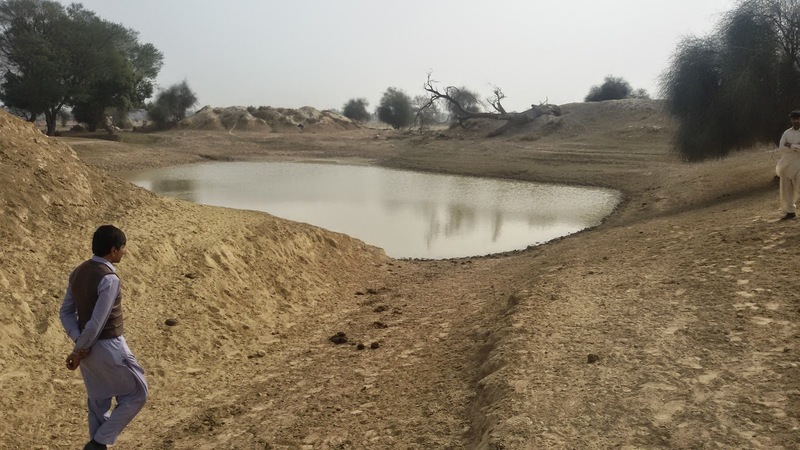 People are dying because of the water,” said one person from the community. The family we spoke to was in a state of mourning after an 18-year old son passed away the previous week from an infection on way to hospital on a camel cart. They suspected water contamination as a cause of his illness. More recently, the tobas have started facing physical threats of eviction. According to the locals some nearby tobas have already been demolished with a bulldozer, and now they themselves have been approached by officials to leave the territory. While Boohars’ claims are based on tradition, their relationship with the Rohi desert has enabled them to rights which are acknowledged in modern national constitutions and international charters – such as the right to livelihood, housing, water, and to a way of life. These rights, it seems, are being trumped by the government’s assertion of property rights acquired arbitrarily and without consultation in the colonial period. And all of this appears to be happening without any fanfare or media attention. Thank you for this education of the plights of the Boohars. We are glad you found this informative. We will keep you updated of any further work done on this issue.